The education funding proposal that Gov. 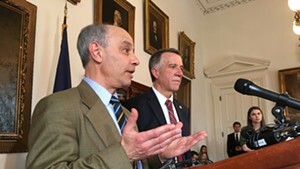 Phil Scott unveiled Tuesday proceeded to take a beating in the Vermont Statehouse on Wednesday. Scott wants lawmakers to use $58 million in one-time funds to prevent a property tax increase — and says a five-year plan that hinges on increasing staff-student ratios would help to easily pay back that money and save nearly $300 million. 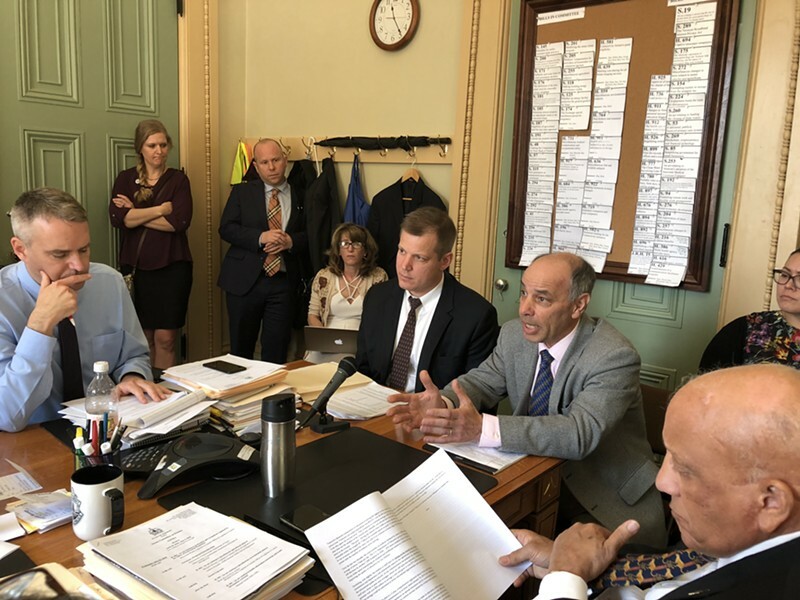 Tax Commissioner Kaj Samsom and Finance Commissioner Adam Greshin had the unenviable task of pitching the governor's plan to highly unreceptive lawmakers in several different committees. The atmosphere was especially tense in Senate Finance, where committee chair Ann Cummings (D-Washington) began by asking the Scott officials, “Why now?” and then repeatedly interrupted the men throughout their presentation. “I find this beyond frustrating and it’s two years in a row,” she said, referring to Scott’s late-session proposal last April to create a statewide teachers’ health insurance plan. 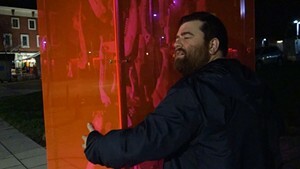 “I understand the frustration. It’s on both sides,” Samsom responded. Administration officials maintain that Scott gave lawmakers a “menu” of ideas in January, and expected the legislators to give them more direction about which to pursue. “The attempt for collaboration was very earnest,” Samsom added. At one point, another committee member, Sen. Ginny Lyons (D-Chittenden), held up Scott’s 12-page memo with distaste. “I have to say, I’ve never seen such disrespect of the legislative process,” she told Samsom and Greshin. Democratic legislators — and, privately, some of their Republican colleagues — have suggested that Scott is subverting the legislative process by asking them to approve a major proposal with less than two weeks left in the session. Complaints that Scott officials have been disengaged during the legislative session — which were made last year, too — are growing. In the House Appropriations Committee, chair Kitty Toll (D-Danville) told Greshin and Samsom that the administration would have to prove that "we can actually make those ratios happen and save those dollars" in order for lawmakers to take the plan seriously.